Conversion rate optimization (CRO) is gaining large momentum amongst online retailers. The appeal is obvious — CRO increases site revenue by enhancing a visitor's experience through the use of creative elements, promotions and messaging in a quantitative manner. 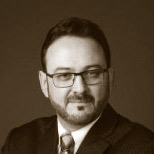 Khalid Saleh is co-founder of conversion rate optimization company Invesp. Khalid is an in-demand speaker who has presented at such industry events as SMX, SES, PubCon, Emetrics, ACCM and DMA, among others. Quoted in publications including Internet Retailer, California Executive and Chicago Sun-Times, Saleh has more than 12 years experience in e-commerce architecture, design and implementation. His work has helped generated an average of 65% improvement in conversion rates for Invesp's customers. He is also the chief architect behind the first ecommerce conversion optimization software.